Are you gonna be gone? I wonder what 69’s thinking of. He never liked whitewashing phantoms. To wash all shades of grayness away. Cast us a line when you do. 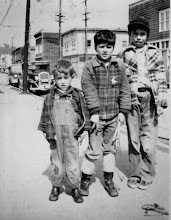 Born in Greece, I was taken at the age of four to the small town of Raymond, WA in 1948. After high school, I attended the University of Washington but dropped out after a year, spent 1963-1964 travelling in Europe and in Greece, settling in Munich until getting drafted into the US Army. After my discharge, I completed my sophomore year at GHC, Aberdeen, WA, then transferred to the UW where I received an MA in English. In 1970, I co-founded the poetry magazine Madrona and also worked for the Seattle Housing Authority before returning to Greece in 1972. I married Eleni in 1980 and we have a daughter, Efiniki, 36, and a son, Anastasios, 34. I'm now semi-retired from teaching ESL in my language school in Meligalas but still writing poetry--which I've been doing for the last forty years. My poems have been published in various literary magazines in the US and abroad. A number of my poems were also included in the anthology How The Net Is Gripped: a selection of contemporary American Poetry (Stride, UK, 1992), and I have two collections of poetry, Sentences (Querencia Books, 1976), and Aural (Singing Horse Press, 1984). What is this scruffy old dog asking this Nordic-looking goddess? You'll have to go here to find out.